Health issues: Tackling mental health issues requires building relationships with people and listening. 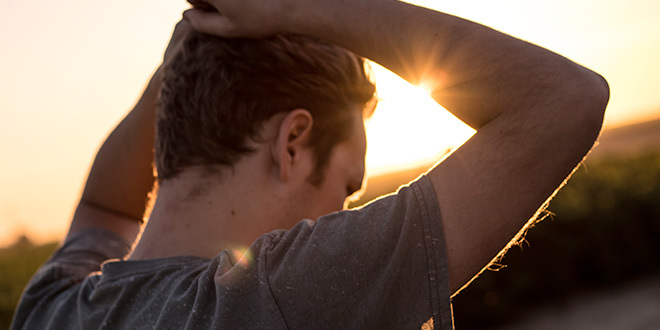 CATHOLIC chaplains have reacted to the findings of a new youth survey, saying the high number of young people concerned about mental health should be a call to action to the Church as well as Australia’s mental health sector. “Young people are calling it as they see it, with all their hopes and fears and expectations,” state chaplain at Mission Australia Deacon Peter Devenish-Meares, who is also a chaplain to the Queensland Police and army communities, said. Mission Australia’s Youth Survey 2018, released on November 28, reveals four in 10 (43 per cent) of young people aged between 15 and 19 years identified mental health as the top issue facing Australia. That figure is up from 33 per cent in 2017, and is almost triple the result in 2015 (15 per cent). Among more than 28,000 young Australians surveyed, coping with stress (43 per cent), school or study problems (34 per cent) and mental health (31 per cent) were identified as the top three areas of personal concern. “The reality is mental health is a component of overall health – our physical health, our mental and social health, our spiritual health and having a definite life purpose and identity,” a chaplain to Queensland’s veterans community Deacon Gary Stone said. “Firstly, we need to move our whole approach to health from focus on treatment after the event to a focus on promoting holistic wellness education to avoid health crises. “Secondly, any response focusing on mental health alone will fail unless a total holistic health and well-being regime of education and treatment is undertaken. Mission Australia’s chief executive officer James Toomey said it was time to listen to young people’s clear and growing concerns around mental health and take immediate action to ensure all young people had access to the right supports. “Whatever a young person’s background or circumstances, we know that access to appropriate and timely support can make a real difference in their lives,” Mr Toomey said. “Unfortunately, we also know that help is not always there. “The service system is difficult to navigate and the support offered can be patchy, especially outside of metro areas, and often not tailored to the needs of young people and their help-seeking preferences. This has to be tackled as a priority. The Youth Survey 2018 also highlighted the major challenges faced by young people, with many expressing concern about moving out of home and finding work. More than twice the proportion of young people in regional areas than those in major cities felt that where you lived was a barrier to finding work – 13 per cent compared to six per cent. For many young people still studying, employment is important for financial reasons, as well as allowing them to gain important skills as they transition into adulthood. Mission Australia recommended that governments invest in educational or practical resources in schools that prepared young people for future work. Deacon Devenish-Meares praised Catholic schools that presented students with positive education programs that explored coping, stress in the lead-up to exams, the risks of using social media and body image. More broadly, he said the Church needed to do more to “de-stigmatise” mental health “so that people are welcomed in the parishes whoever they are”. That pastoral view was emphasised in a recent letter to every parish in Australia penned by the chair of the Australian Catholic Disability Council Bishop Terry Brady: “We cannot claim to be truly disciples of Jesus unless we are totally engaged in honouring His presence in each one, and in building and nurturing this community to be a living witness of that presence”. “We need to take action; we all need to learn what it means to support people with unconditional non-judgemental love,” Bishop Brady wrote. “That’s a call for me and everyone else to say ‘Am I being as welcoming as I can be and am I just accepting people as they are’,” he said. Deacon Devenish-Meares said tackling mental health issues required building relationships with people, and listening. “People open up because they trust you over time,” he said.